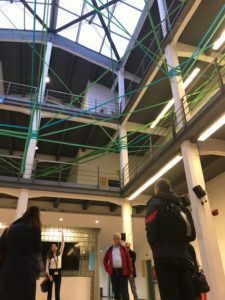 Between 27 and 30 November 2018, representatives of six European cities visited Sabadell to deepen in the local strategy of smart specialisation. The meeting, that took place in different locations of the city (ESDi among them), is part of the project Interreg Europe RELOS3, led by Sabadell Town Council with the participation of Bologna (Italy), region of Wielkopolska (Poland), Emmen (The Netherlands), Tartu (Estonia) and Malta. 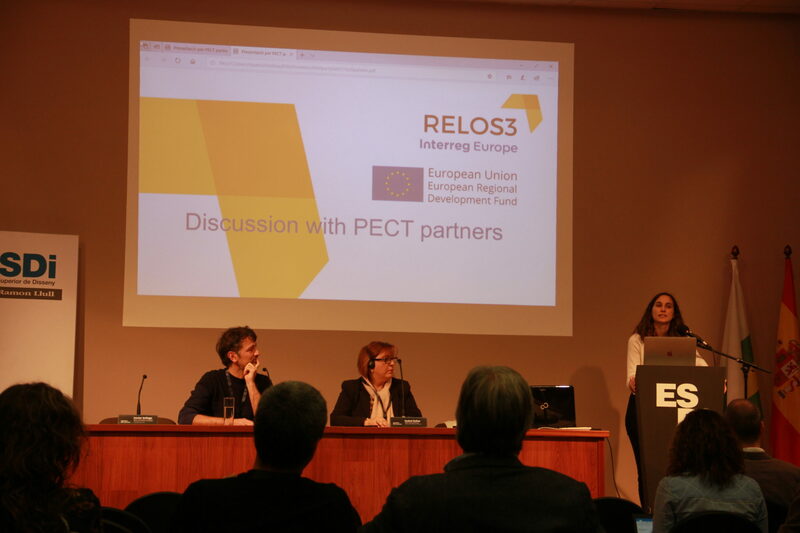 RELOS3 is a project funded by the programme of the European Commission Interreg Europe that, with a planned duration of five years (2017-2021), focuses on implementing regional smart specialisation strategies in a local context. During the time that has elapsed, the city partners have done a first approach to the local and regional context of each country and all of them have interested for the experience of Sabadell, city leader of the project. The meeting’s key reason has been to develop the territorial specialisation plan “Industrial Vallès: innovation and design of European industry”, a joint bid with the city councils of Sabadell, Barberà del Vallès, Sant Quirze del Vallès and Castellar del Vallès, Fundació del Disseny Tèxtil (FUNDIT), Fundació Parc Taulí and Universitat Autònoma de Barcelona, to set up a future strategy based in the potential of the zone respect the design and the innovation in industrial systems. Generalitat de Catalunya has considered this project as deserving of co-financing by Catalonia’s Operative Program FEDER 2014-2020 and it’s one of the four approved Projects of Territorial Specialisation and Competitiveness (PECT) in the Barcelona metropolitan area. The plan starts from a solid base of previous study from the municipalities, that has allowed to identify the economic specialisation with more options to access to the European funds addressed to improve the economic development and the territorial competitiveness. At this point, the administration (with the support of local agents) has raised a plan to position Vallès as a specialised driver of innovation and design in the industrial systems. Among other things, this project wants to develop the support to entrepreneurial culture and the application of new technologies to new products and services. Having as a vector the design applied to the industry, it pretends to achieve a territory with reinforced competences in this field, more competitive companies and work places with qualified professionals.